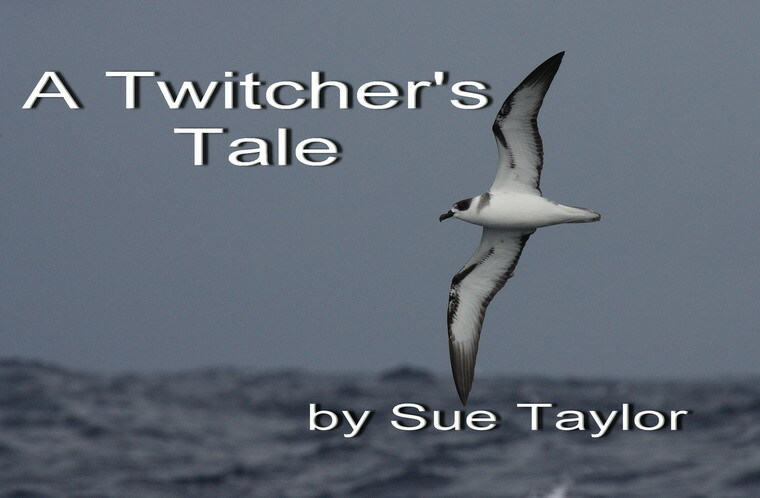 A Twitcher's Tale: A GANG-GANG AT LAST! 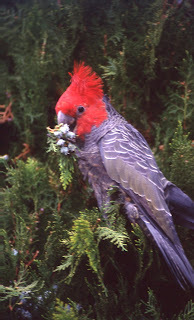 On my routine morning walk today, I heard, then saw, a single Gang-gang Cockatoo. 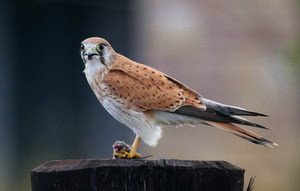 It flew into the Kew Cemetery. This was a new bird for my list for Kew and a new bird for my annual list. My cousin, who lives in Blackburn, tells me that she either sees or hears Gang-gangs every day. I've been walking with her along Gardiners Creek hoping to come across these wonderful cockatoos, but we've had no luck. I grew up in Ringwood and Gang-gangs were quite common then. I remember they were always exciting to see. And they still are. I was delighted to add this bird to my list for 2016 as I reckon I've been a bit unlucky with my birding in June. I visited both Wilson Reserve and Banyule looking for the Powerful Owl, but did not see one. I visited Karkarook looking for a Flame Robin, but did not see one. 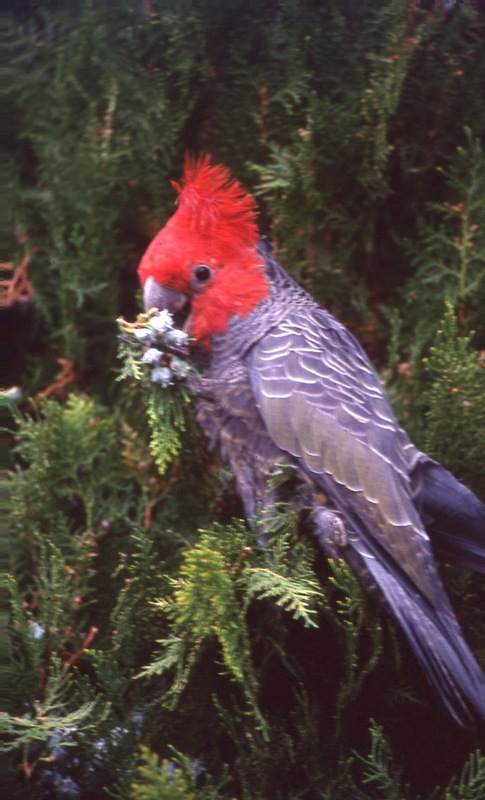 With BirdLife Australia, I pulled out boneseed at the You Yangs, but did not see anything new for my 2016 list. With a friend, I visited Werribee looking for Double-banded Plover and did not see one. We visited Stockyard Point also after a Double-banded Plover and all we saw was an enormous flock of Pied Oystercatchers. After this disappointment, we drove on to Flat Rocks at Inverloch where the Beach Stone-curlew had been reported. It was school holidays and the beach was full of dogs. There were no waders in sight. This week we again visited Werribee, this time looking for a Lewin's Rail. Again, no luck. Three Australian Spotted Crakes were happily feeding in the open, walking very close to us and seemingly oblivious of our presence. That was nice, so was a pair of Brolgas that flew overhead, bugling, but they weren't Lewin's Rails! Now, with my Gang-gang today, perhaps my luck is turning. Just in time. This afternoon I fly to Hobart to do pelagics off Eaglehawk Neck on both Saturday and Sunday. Who knows what we might see.